Happy Working Girl Chic Tuesday Readers! 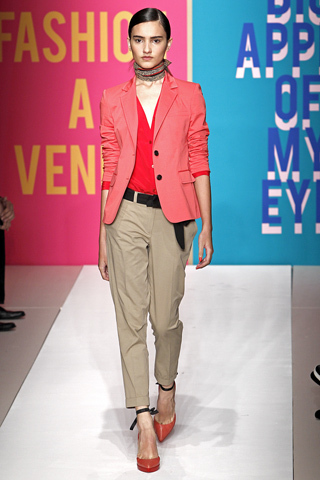 ﻿ The cropped pant - especially in khaki or white - will transform your boring suit wardrobe in a brightly chic spring look. If your workplace is extremely conservative, shop for a crop that hits exactly at the ankle. Otherwise, just try a few options to determine which one most flatters your figure. Once you've made your perfect selecation, throw on an interesting jacket (preferrably in coral tones - THE shade of the season) and a touch of turqoise jewelry. Be certain to add a pair of sky high heels to elongate your legs and you're ready to work it! !